Paris, the largest city in France and the capitol city of that great country, is always one of the world’s most popular destinations for tourists. There is a very good reason for this. The city has an enormous amount of culture and beauty. It is also famous for being one of the most romantic cities on the planet, making it a top location for newly married couples to take their honeymoon, and already married couples to celebrate their Anniversary. The amount of things to see and do in a city like Paris is truly staggering and the scenery changes with each season. If you would like to find out some tips for traveling to Paris, you can look at some of the many traveling websites that offer advice for people traveling to various locations. 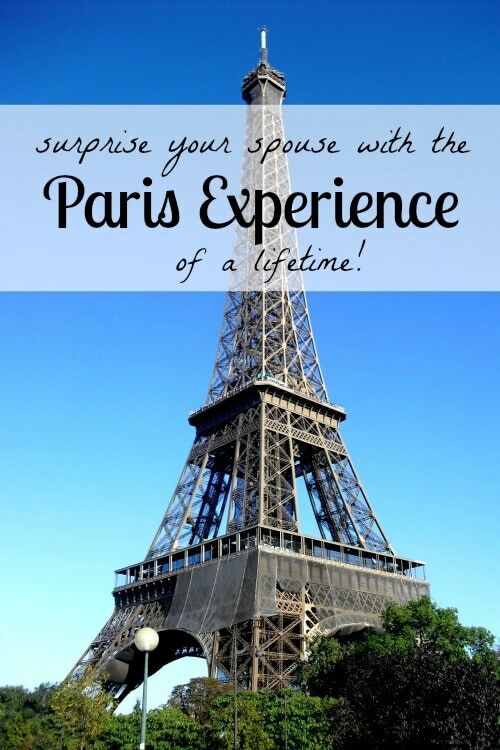 Here are some of the things to see as you enjoy the Paris experience of a lifetime. This is quite possibly the most well-known and respected art museum in the world. It attracts millions of tourists every year, and with good reason. This museum contains some of the most legendary works of art ever created by mankind. You will truly be in awe as you gaze at these wondrous masterpieces, including the notorious Mona Lisa. You will be amazed at the beauty that mankind is capable of creating. It does not matter who your favorite classic artist is, you will most likely find some of his work within these walls. If you have even the slightest appreciation for art, you must take some time to explore The Louvre during your trip to Paris. It will be an experience you will remember for the rest of your life. However, be aware that this is one of the most popular tourist attractions in the entire city of Paris. Because of this, it can become very crowded in the summer. If you visit Paris during this time of year, you can expect to face very large crowds. The iconic symbol of France has stood proudly over Paris for more than one century. During this time, it has not only come to symbolize Paris, it has become one of the most famous and recognizable structures in the world. Your journey to Paris would not be complete without a trip to the top of the Eiffel Tower. From this vantage point, you will be able to get views of the city that are not possible from any other location. This is because The Eiffel Tower is by far the tallest structure in the city. Notre Dame Cathedral is considered by many experts in the field of architecture to be one of the greatest achievements of all time. It is an architectural masterpiece. Its beauty has been depicted on everything from postcards to calendars. It is no wonder that people travel from all parts of the world to gaze upon its beauty. As far as Gothic churches are concerned, this is without a doubt the most famous church built in this particular style. As with most major tourist attractions, large crowds are very normal. Therefore, plan your schedule so that you allow yourself enough time to take a tour of the interior. You are sure to find it just as beautiful as the exterior. However, if you are tight on time, a look at the exterior might be all you have time for.